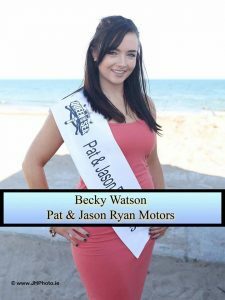 Becky Watson representing Pat & Jason Ryan Motors has became the latest Queen Of The Sea, on July 9th, taking over the prestigious title from 2015 winner Lauren Faul. 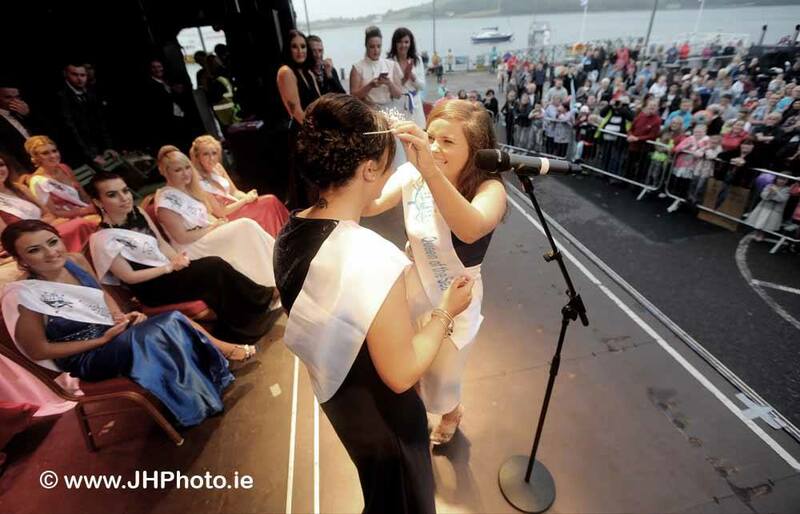 After she was announced Queen Of The Sea at the Crowning Event she was crowned by her 2015 counterpart taking the grand prize of €500 for her participation in the three day festival. Becky and the other contestants braved the elements and rain, before her crowning just after 9pm. The announcement was captured by a member of the audience who kindly shared with us. 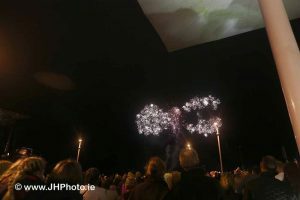 After Becky was crowned, the crowd who braved the elements were treated to an Abba tribute band, and then dazzled by a Fireworks display that ran slightly later than scheduled. 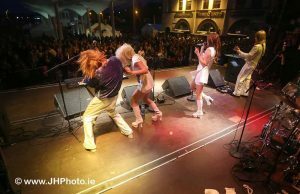 Youghal Chamber who organises the yearly The Queen Of The Sea Festival would like to say a big thank you to the Sponsors and to all of the people who helped out & volunteered over the weekend. We would also like to give an extra special thank you to all of you who came out in the bad weather and supported the festival and even though it rained for most of the weekend we hope that you still enjoyed the events. 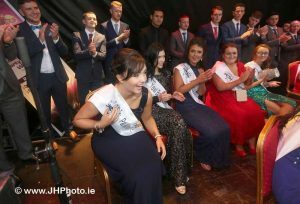 Well done to Becky, and all the other contestants, despite the weather, it has been an absolutely fantastic weekend, and our best yet. 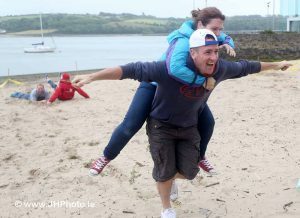 The Festival continued on Sunday with the wife carrying race which was won by Donna Clohessy from Youghal, with Joey Phelan, Passage East, Co. Waterford, winning the wife carrying race during Youghal’s Queen Of The Sea Festival 2016 in aid of Youghal RNLI and Breakthrough Cancer Research. As part of the festival the Aquavelo event, organised by South Coast Triathlon Club, Youghal, was held on Sunday morning in association with the Queen Of The Sea Festival. The winner of the Male competition in a time of 55 minutes 46 seconds was John O’Connell. The winner of the Junior Male competition with a time of 1 hour, 18 minutes, 09 seconds was Dean Ward and the winner of the Female race was Katie Cooke with a time of 58 minutes, 22 seconds. Queen Of The Sea 2017 is already in planning. You can sign up to volunteer now.